I am so looking forward to scarf season! 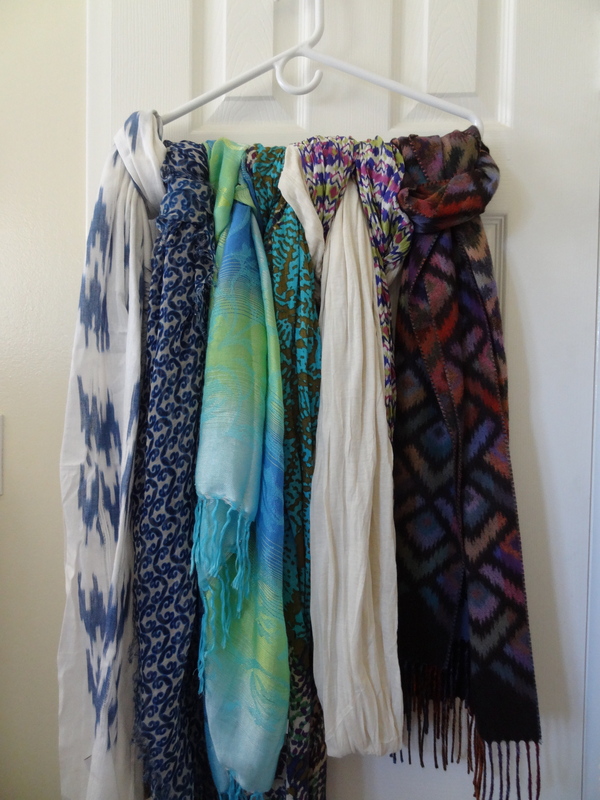 I flipped my closet yesterday and was happy to put away my spring and summer scarves and take out the cozy winter ones. There is something so fun about flannel fabric and gingham patterns. I can smell the pumpkin spice already. Scarves, in all their glory, are an item in your closet that can be hard to know what to do with. In some of my closet quests, I have seen them stored in a bag in the corner of the closet or all hung on one hanger on top of another. Although it keeps them off the floor, it is hard to see exactly what you have when you are digging through them all. 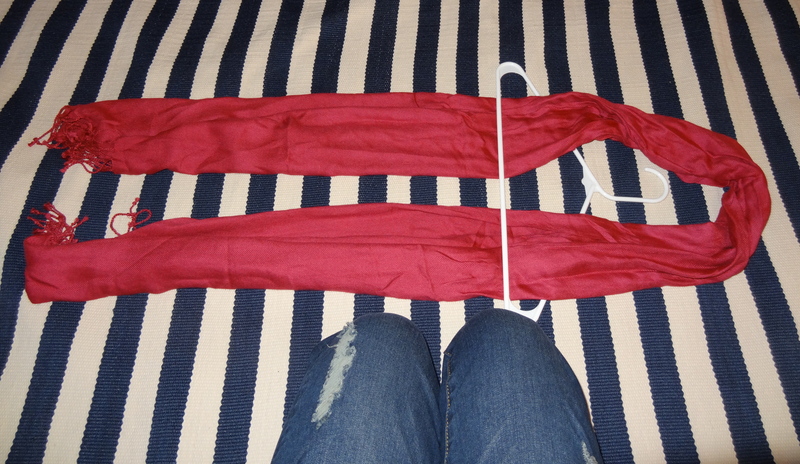 Lay the scarf on the floor folded in half so that you have one closed end and two open ends. 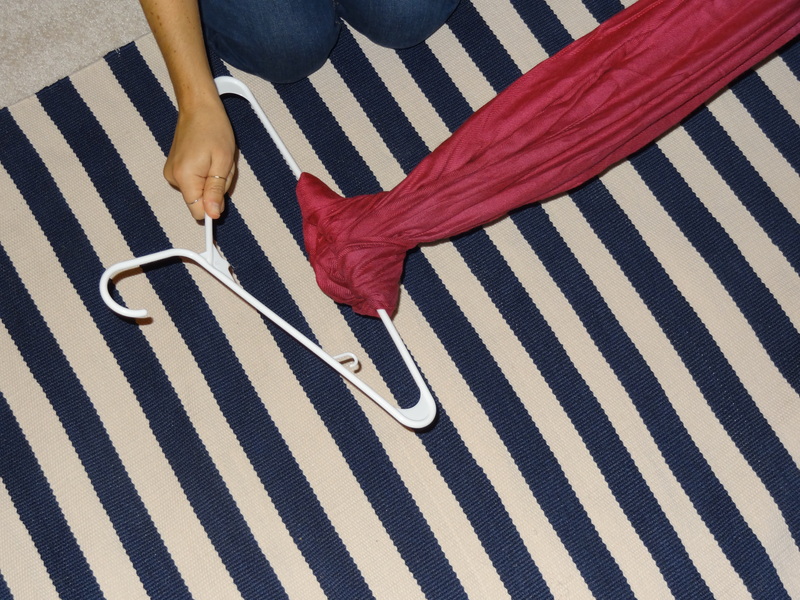 Pull the closed end of the scarf through the bottom row of the hanger. 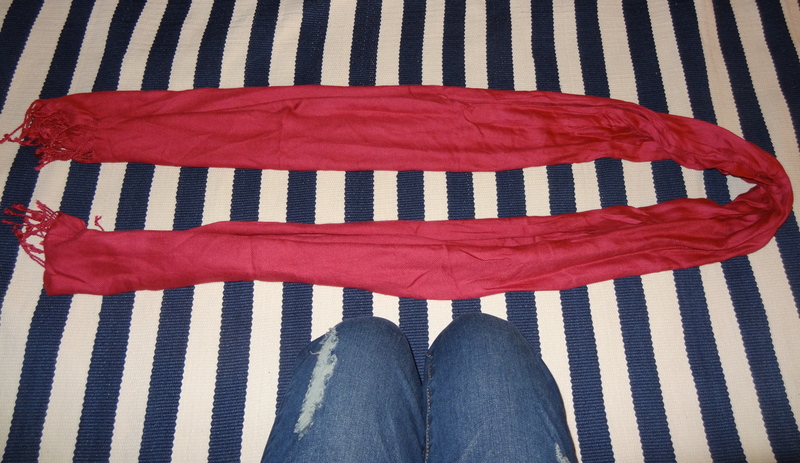 Take the closed end of the scarf in one hand and the open ends in another. Pull the open ends of the scarf through the closed looped end. Pull tight and you have a scarf knot perfect for hanging in your closet. 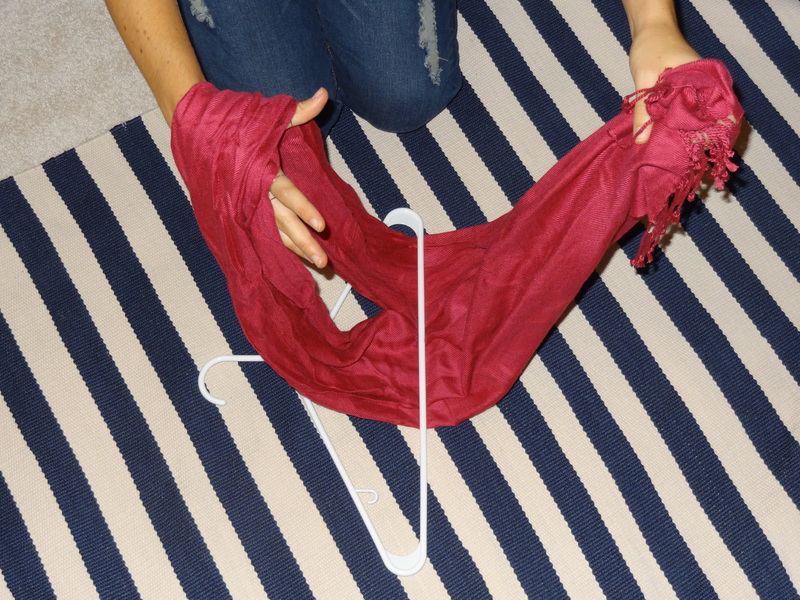 Store multiple scarves on one hanger and group with like colors for a merchandised feel. Voila! 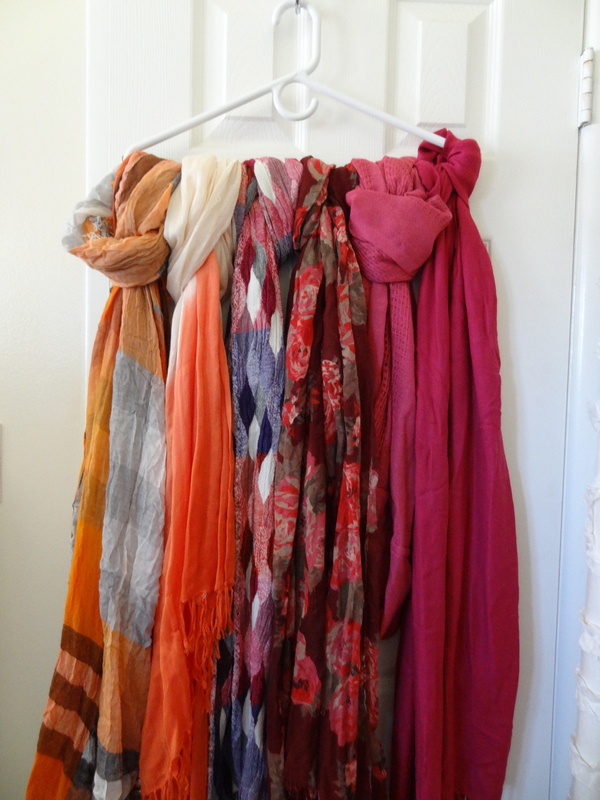 Your scarves are happy to be displayed with such beauty and you are one more step to a more organized closet space. This entry was posted in How To and tagged Business, closet organizer, how to store scarves, natalie's style nook, organized closet, personal wardrobe consultant, Scarf, scarf storage, Scarves, Storage, wardrobe. Bookmark the permalink.